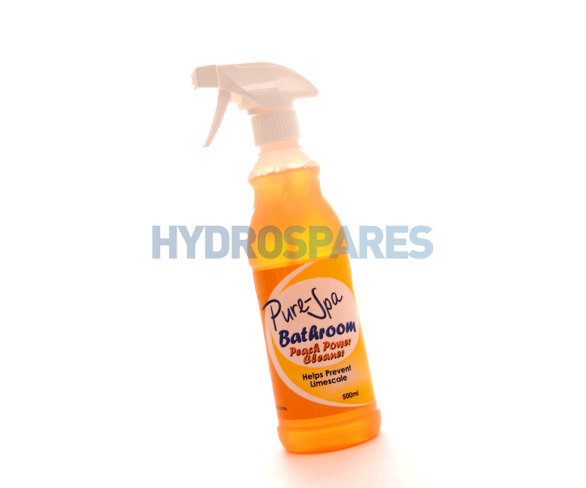 A powerful foaming spray that thoroughly cleans bathroom surfaces and leaves behind a brilliant shine as well as the scent of fresh peaches. Benefits: Removes soap scum, body fats & general grime from your bathroom surfaces. Effectively cleans: Acrylic baths, sinks, toilets, shower trays & cubicles, stainless steel, ceramics, porcelain & chromium. For tougher jobs apply to surfaces & allow time for the product to penetrate before wiping & rinsing. Non hazardous . Do not ingest . In the event of contact with eyes rinse immediately with plenty of water.